If you have completed (or are very close to completing) a novel for children or young adults, the Mslexia Children’s Novel Competition is the perfect opportunity to get your work noticed. Mslexia are hoping to discover a fantastic new children’s writer who has been overlooked by the usual submission process. In the current climate, where it can be difficult to get your work noticed by an agent or publisher, this could be one way of getting your work to stand out. 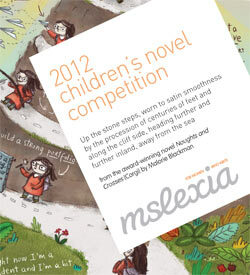 The Mslexia’s Children’s Novel Competition has a deadline of 10 September 2012 and in order to enter you must have a complete manuscript ready for submission because shortlisted authors will be required to submit a full manuscript for the final stages of the judging process. The competition, which has a first prize of £5,000, is for unpublished novelists only and will be judged by a panel including award-winning children’s writer Malorie Blackman, literary agent Julia Churchill and children’s books editor at the Guardian newspaper, Julia Eccleshare. You probably know Mslexia, an award-winning magazine for women writers. In addition to their new novel competition, they also run annual poetry and short story competitions. Last year’s adult novel competition winner Rosie Garland has just signed a six-figure two-book deal with HarperCollins – proof that competitions such as these can really make a difference to your writing career. 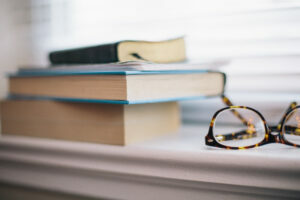 There are some fantastic writing resources and workshops (to complete at home) on the Mslexia website that aim to help you improve your novel and develop your writing skills. Who is the competition aimed at? Women who’ve always wanted to write a children’s novel, but could never find the time. You only have to write 30,000 words minimum for this competition. The competition is open to children’s novels in any genre by previously unpublished women novelists, but it must be for children who are able to read for themselves or for young adults. Crossover fiction (i.e. that aimed at children and adults) is eligible. Nonfiction, and fiction intended for adults is not eligible. To qualify as a novel, your book must total at least 30,000 words. To enter the competition: send up to 3,000 words – which must be the first 3,000 words of the novel. Any preface is included in your 3,000 words. There is no need to submit a synopsis. Juding panel: Malorie Blackman, award-winning children’s author; Julia Churchill, literary agent specialising in children’s books for Greenhouse Literary Agency; Julia Eccleshare, children’s books editor at the Guardian newspaper. If you plan to enter the competition, do leave a comment below. I’d love to know of any Writing Coach readers and former clients/members who enter and will be rooting for you all! I’m one of those women with a Manuscript gathering dust on the shelf. I think entering a competition is just what I need. Will get back to you guys.